Disney Mickey Mouse soother. New to NUK. 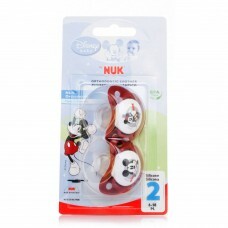 The NUK orthodontic shape adapts to the babys mouth area an..